The Case Study Houses program (1945–1966) was an exceptional, innovative event in the history of American architecture and remains to this day unique. The program, which concentrated on the Los Angeles area and oversaw the design of 36 prototype homes, sought to make available plans for modern residences that could be easily and cheaply constructed during the postwar building boom. The program’s chief motivating force was Arts & Architecture editor John Entenza, a champion of modernism who had all the right connections to attract some of architecture’s greatest talents, such as Richard Neutra, Charles e Ray Eames, and Eero Saarinen. Highly experimental, the program generated houses that were designed to redefine the modern home, and had a pronounced influence on architecture—American and international—both during the program’s existence and even to this day. 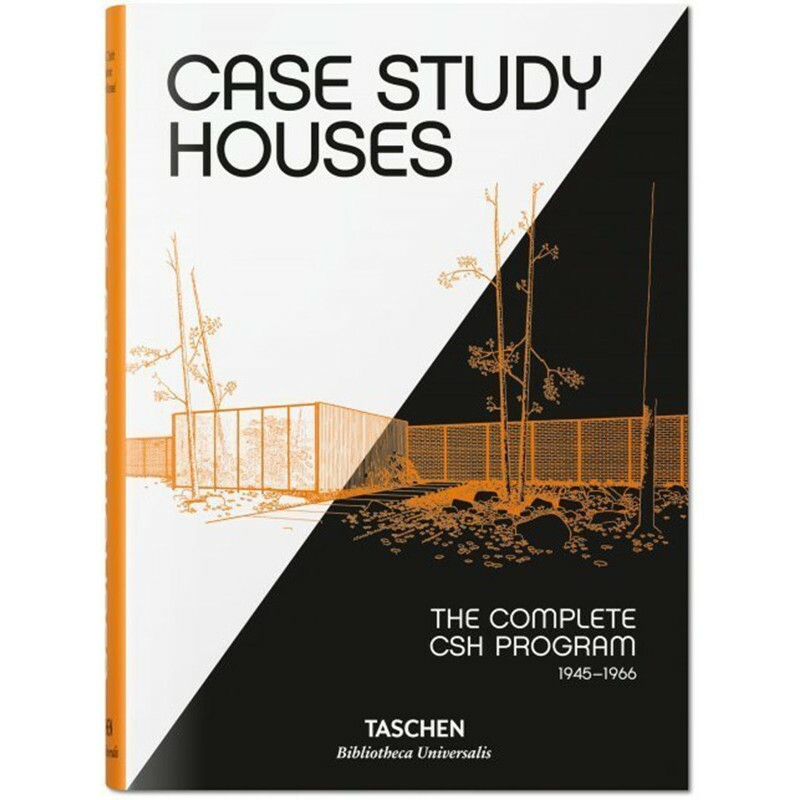 TASCHEN brings you a retrospective of the entire program with comprehensive documentation, brilliant photographs from the period and, for the houses still in existence, contemporary photos, as well as extensive floor plans and sketches. Elizabeth A. T. Smith is Executive Director of the Helen Frankenthaler Foundation, based in New York. Previously, she was Executive Director, Curatorial Affairs, at the Art Gallery of Ontario in Toronto; Chief Curator and Deputy Director of Programs at the Museum of Contemporary Art in Chicago, and Curator at the Museum of Contemporary Art in Los Angeles. While at LA MOCA she curated the 1989 exhibition Blueprints for Modern Living: History and Legacy of the Case Study Houses. She has curated, published, and lectured widely on a variety of topics in contemporary art and architecture. Peter Gössel runs an agency for museum and exhibition design. He has published TASCHEN monographs on Julius Shulman, R.M. Schindler, John Lautner, and Richard Neutra, as well as several architecture titles in the Basic Art series.